While most of the Lower East Side of Manhattan was plunged into darkness last week after Hurricane Sandy, the William F. Ryan – NENA Community Health Center remained a beacon of light, providing hope and stability for their patients in the surrounding community. “They’ve been life savers; they help me so much with everything. If I’m ever in a crisis, I can call them and I can count on them and they always pull through,” said Iris Leon, a patient at Ryan-NENA, one of Direct Relief’s nonprofit clinic partners. Patients like Leon motivated the health center staff to stay open last week, even in the hours leading up to the storm and shortly after. The clinic mainly serves patients who do not have insurance or are underinsured, providing both primary and specialty care, said Lorraine Leong, director of the clinic’s external affairs. She added that 70 to 80 percent of their clinic population of 11,000 lives at or below 200% of the Federal Poverty Line, which is $23,050 for a family of four. 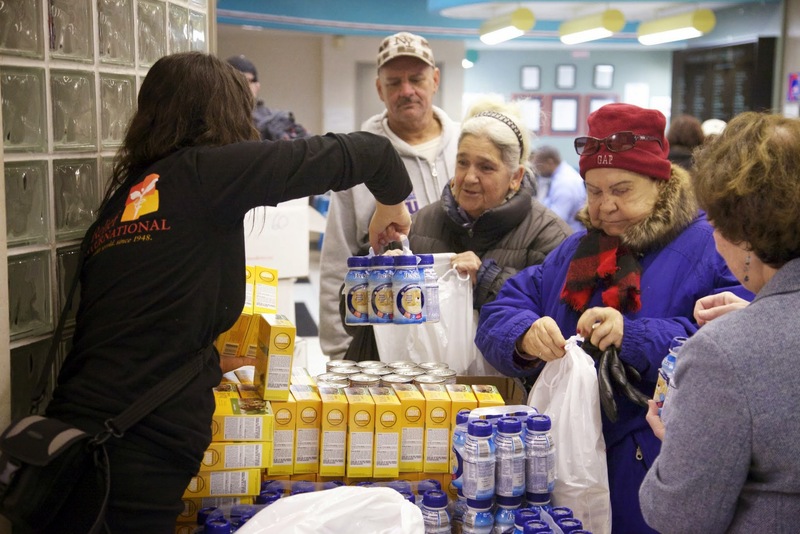 It is this population that is most vulnerable during emergencies like Hurricane Sandy. Located close to a transformer that exploded during the storm, the Ryan-NENA health center lost power. But to Gruber’s surprise, the health center was not flooded like many buildings in the surrounding area. Though they didn’t have light, the administration decided to re-open Wednesday with suspended hours. “When I came into work, this neighborhood was completely black,” said Taisha Benjamin, a pediatrician at Ryan-NENA. Using their backup generator, Gruber said they were able to power the stairwells and parts of the first floor, treating patients by lamplight. Staff talked patients through symptoms and treatments as best they could because they didn’t have access to their electronic medical records. They conducted home visits for those without transportation and called all of their patients with a scheduled appointment last week to let them know they were open. Calls had to be made from a different site in their network as their clinic did not have functioning phone lines. Dr. Benjamin said the nearby pharmacies weren’t functioning and that many patients were coming in to get direction as to where to go to get their medications. She told Direct Relief that with the electricity down, she was most worried about her asthmatic patients, who need treatments from a nebulizer, a machine that changes medication from a liquid to a mist so it can be more easily inhaled into the lungs. Dr. Benjamin said she has already seen two kids who weren’t able to receive their medications at home and came in with asthma flare up because Hurricane Sandy left them without power. After power was restored Friday evening and more patients begin to return to the clinic after the storm, the health center’s needs are greater than usual, but that doesn’t stop the dedicated staff from doing all they can to improve the health of their community. “We’ve always remained true to our mission statement – that health care is a right not a privilege,” Gruber explained. As Direct Relief responds to health needs of those most vulnerable after the storm, Direct Relief is happy to partner with those committed to improve the lives of those in their local community, such as Ryan-NENA Community Health Center.